So there is an argument raging on the Jez MP on the article about men not believing what women say. A couple of people have said that on occasion, in the office or at home they have smelled something strange, and it turned out that the carbon monoxide was at dangerously high levels. The raging arguments are as follows; they couldn't have smelled the carbon monoxide because carbon monoxide is odorless (true). They would have smelled other fumes which may be associated with malfunctioning equipment which also caused carbon monoxide levels to rise. Other people are saying that although carbon monoxide is odorless, a noxious smell is added to alert people about carbon monoxide leaks. THIS IS FALSE, PEOPLE, AND VERY DANGEROUS. 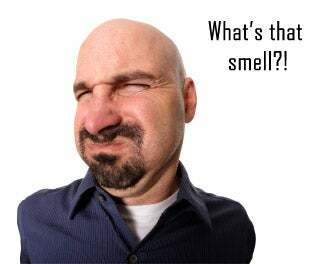 GAS COMPANIES ADD A NOXIOUS SMELL TO NATURAL GAS. CARBON MONOXIDE IS ODORLESS, AND THE ONLY WAY IT CAN BE DETECTED IS WITH A MONITORING DEVICE. Both situations are dangerous, and appropriate people should be called in both cases; gas company, fire department, etc. But they are different gasses, and if people are resting easy about carbon monoxide, because they are not smelling anything, that is cause for concern. ETA; athingwithfeathers reminded me that every home and shop should have a carbon monoxide detector. I thought it was implicit in the post, but it bears actually stating it.